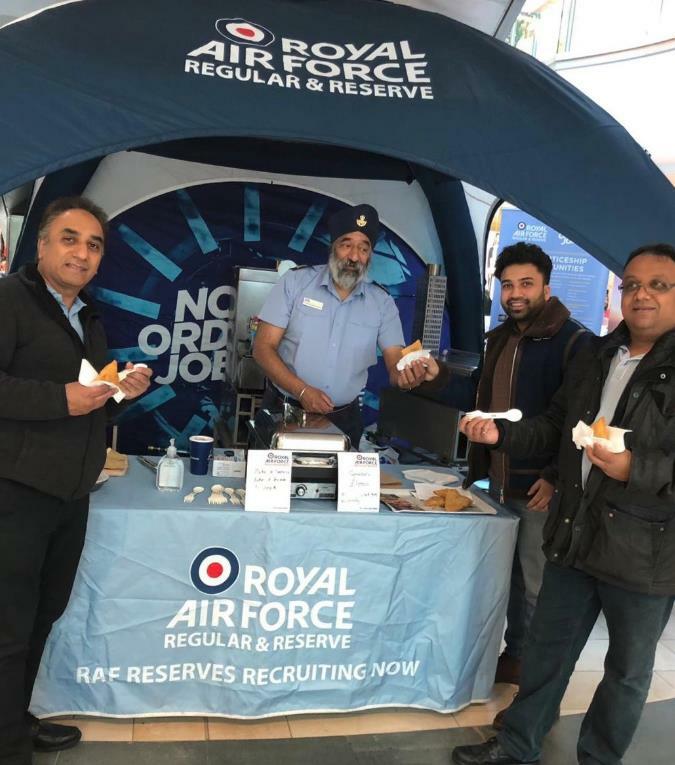 National Samosa 2019 proved to be a great success, but it wouldn’t have been possible without the incredible people, organisations and businesses who participated. That said, the team would like to say a big thank you to everyone involved! In celebration of the tasty triangle-shaped snack, the annual event aims to bring people and communities together, whilst highlighting the rich culture and food heritage of South Asia. This year proved no exception, and there was something for everyone to enjoy during the event which ran from 8-14 April. 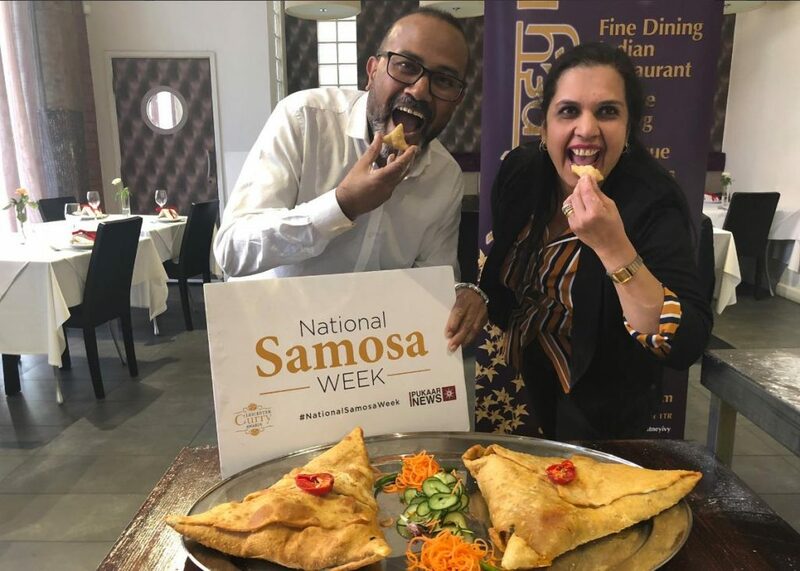 National Samosa Week is incredibly proud to support two local charities, COPS (Care of Police Survivors) and Lamp Advocacy. 20% of proceeds raised from samosa sales will be split between the two causes. 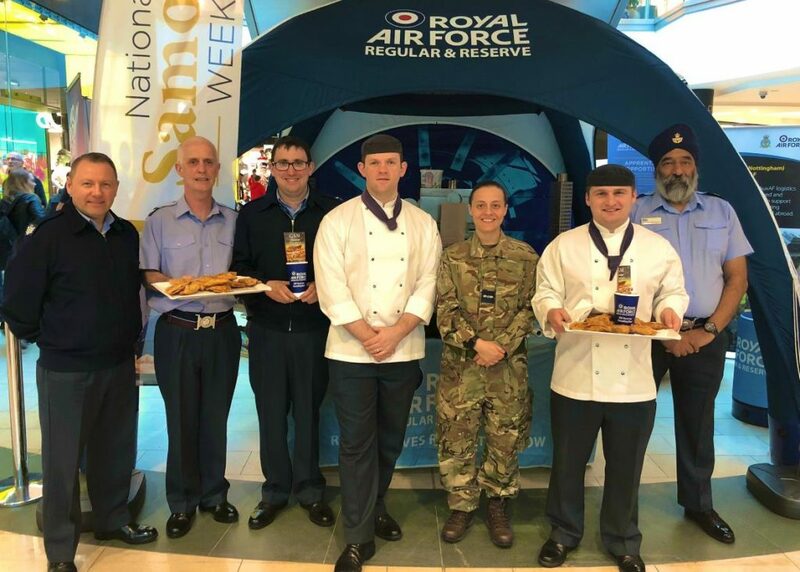 Kick-starting the event was a pop-up shop in Leicester’s Highcross Shopping Centre, where shoppers could buy and learn how to make samosas from a dedicated team of RAF chefs. In total, the team raised an amazing £586.53. On Thursday 11th April, Indian restaurant Chutney Ivy opened its doors to the public from 12-4pm for a Samosa Fundraiser. 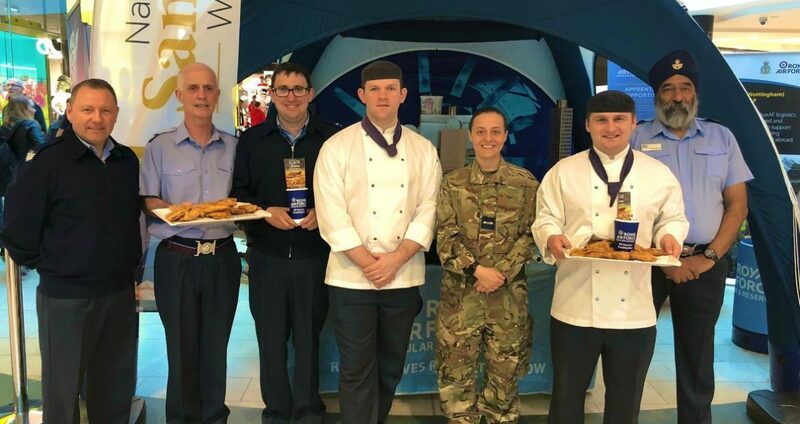 Passer’s by could enjoy a tasty samosa or two as well as take part in a samosa-making workshop. The restaurant raised £31 from samosa sales. Other restaurants and takeaways around the city also took part in the event. Vegetarian Restaurant Chai Paani raised £250; Masalas on Uppingham Road raised £55 and fine dining restaurant Lilu raised £100. A grand total of £1,022.53 was raised from samosa sales. It’s been another fun week filled with an abundance of delicious samosas. 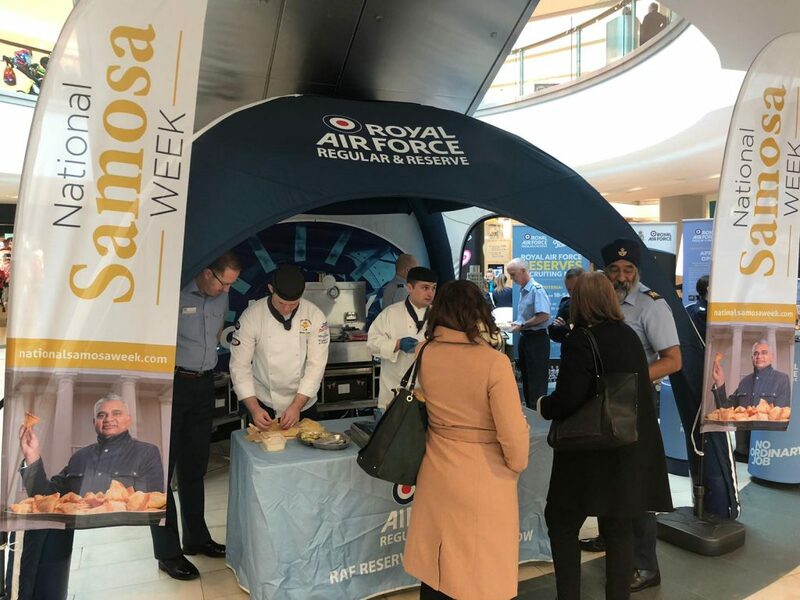 We can’t wait to return next year for National Samosa Week 2020. A special thank-you to Highcross, Chutney Ivy, Chai Paani, Masalas, Lilu and our sponsors, RAF.